Our super-popular Thailand tour! Experience the best of Bangkok and Southern Thailand with our Ultimate 10-Day guided tour. Our trip takes you from the bright lights of Bangkok to the southern jungles of the Khao Sok National Park, one of our favourite places in Thailand. We then head to the stunning tropical islands of Koh Phi Phi and Koh Phangan, home of the legendary Full Moon Party. Our tour of Bangkok begins with a boat trip through the city’s busy rivers and canals. Our Thai and ULTIMATE Guides will show you a different side to the city and explain about Bangkok’s history, religion and culture. Explore the Dawn Temple ‘Wat Arun’, Reclining Buddha Temple ‘Wat Pho’ and the shopping mall and markets. Tonight we party in Bangkok! Spend the morning relaxing, get a Thai massage or hit the town for more shopping. That afternoon we travel to the train station catch the overnight train to Southern Thailand. The overnight train is loads of fun. Have dinner and drinks on the train, sleep in your own comfy bed and wake up refreshed for a day in the jungle at Khao Sok National Park. We travel by longtail boat to our floating raft houses hidden deep in the rainforest of the Khao Sok National Park. See amazing animals, breathtaking scenery and learn about the local history of the area. The clear water is warm all year round. Enjoy a swim, kayak on the lake or take a relaxing nap in a hammock. That evening, after a tasty dinner with fish caught fresh on the lake, we take a night safari to see hornbills and other nocturnal wild animals. Lunch and Dinner included. Today we take a longtail boat tour of the Phi Phi Islands, to explore Maya Bay ‘The Beach’ and Monkey Bay. We stop for some snorkelling and see loads of amazing fish on the limestone reefs. That night we party at one of our favourite beach clubs! 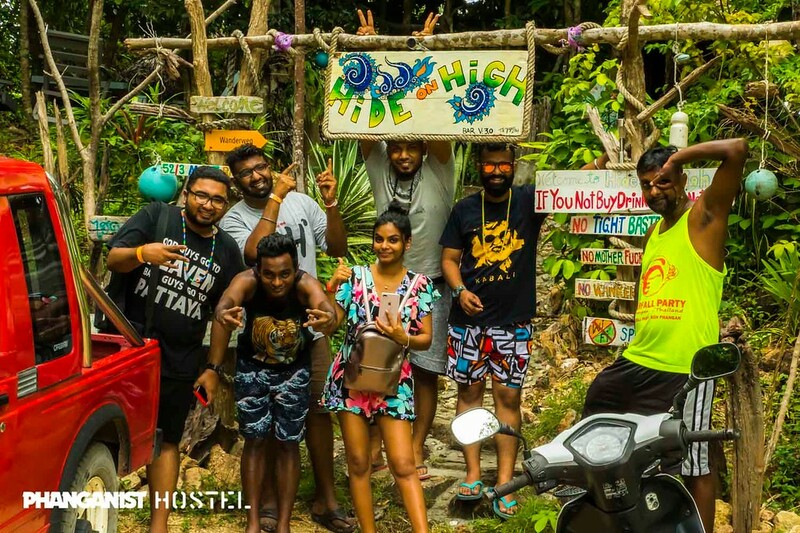 We arrive on the tropical island paradise of Koh Phangan, home of the world-famous Full Moon Party. You’ll be staying right near the beach, with crystal clear water and amazing sunsets. Tonight we relax on the beach and slurp cocktails as the sun goes down. Today is a free day to relax on the beach or explore Koh Phangan. Soak up some sun, swim on the beach, go kayaking or snorkelling. Get launched into the air at WipeOut or go for a stroll through the town – there is heaps to do on Koh Phangan! Your group leader will help to arrange everything. That evening we enjoy more drinks and a night of fun! Today’s the last day of the tour, but your adventure doesn’t finish here. 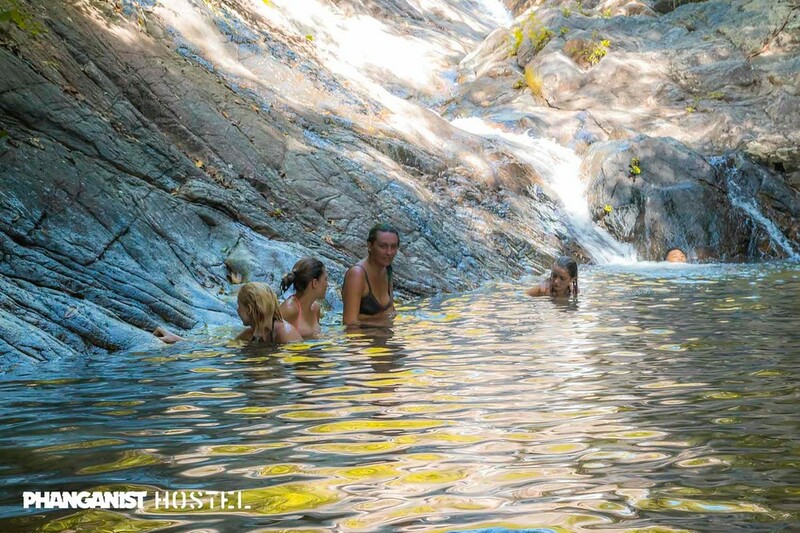 Your group leader will recommend other places for you to visit in Thailand and South East Asia. That evening we meet up for a farewell dinner and party on the beach at our favourite beach bar! Your resort accommodation is included on the final night. Day 11 – Check-out day, but it doesn't mean your adventure has to be over just yet! Travel on with your new buddies or let us help you plan all your onward travel throughout Thailand and beyond. Whatever your plans, we’ll help you make it happen!